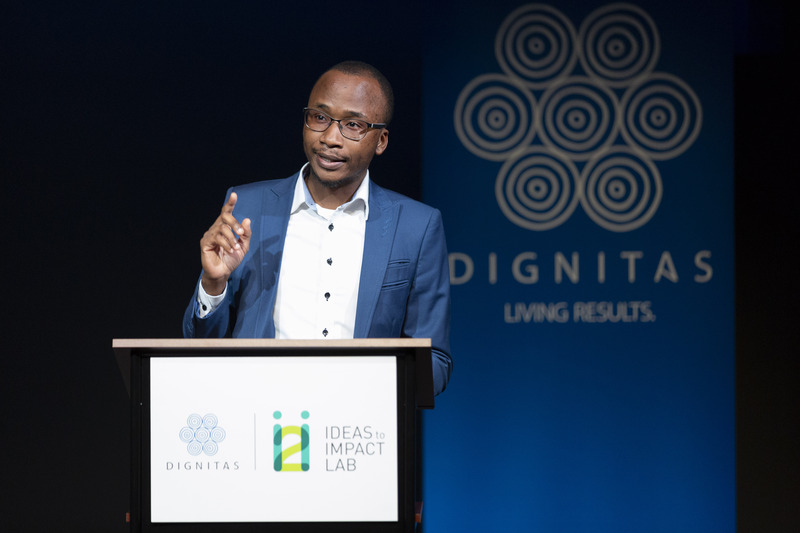 Victor Banda hails from the Kasungu district of Malawi and serves as a Data Analyst for Dignitas International in Zomba. Armed with a Bachelor of Science with a double major in Computer Science and Statistics from Chancellor College at the University of Malawi, Victor began his career passionate about data science and its applications for health care. Victor’s professional practice focuses on medical research data management and health informatics, supporting research and medical programs in the fields of HIV, TB and Non-Communicable Diseases. On a daily basis, Victor develops data collection systems, completes data cleaning and extraction for analysis and develops apps for program implementation. While Malawi has made impressive strides in combating HIV, there is still more work to be done. Victor is turning his passion for data science into action to help mothers with HIV stay on lifesaving treatment. His idea is to develop a machine learning health informatics algorithm that can ultimately support health systems in reducing the number of people who default from HIV care. This research has lifesaving implications for HIV-positive mothers and their children.If we can identify those most at risk to stop treatment, Dignitas can develop personalized and targeted care help patients manage their condition both medically and psychologically. This innovation has potential to reduce the number of people defaulting from care nationally. When people remain in care, the amount of the virus is suppressed to undetectable levels and halting the spread of the epidemic. Women living with HIV who undergo antiretroviral therapy (ART) throughout their pregnancy, and while breastfeeding, decrease the chances of passing on HIV to their child. If these women stay on treatment throughout their lives, they are likely to remain healthy so that they can care for and raise their children. By developing tools to help keep mothers on treatment, we can make gains in prevention of mother to child transmission. This will help us further our goal of no new infections and ending AIDS as a public health threat by 2030. You can support Victor’s research and Dignitas’ lifesaving medical and research programs by donating to our efforts to provide quality health care where it is needed most. Please make a gift today.